Almost everyone I know, myself included has gotten some type of reaction from eyelash glue. Usually it’s the day after use and the eyelids become red, dry, puffy and sensitive to touch. We already know that regular eyelash glue is full of synthetic ingredients that aren’t good for us but did you know that eyelash glue commonly contains formaldehyde and ammonia? Ugh ! None of us want to use those ingredients normally but having them so close to our eye is a bit scary. Luckily, D.U.P Eyelashes Glue contains none of that. You can check the full list of ingredients. 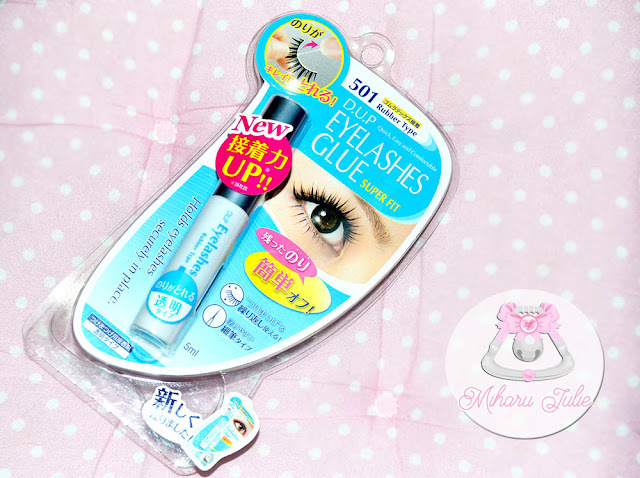 D.U.P Eyelashes Glue 501 (Clear Rubber Type) is super strong glue for false eyelashes which is one of the best glue in JAPAN. It uses rubber latex to create a strong adhering to hold the false eyelashes. It will stick on your eyelids throughout the day for 24 hours. This is the best lash glue I've ever used. The brush tip applicator makes the whole process easier and works out even on some individual lashes . The adhesive is legit and I use it for lash application and also for sticking gems and other stuff to my face which is great for conventions, meetups, everything. Apply the glue on the lash band using the brush tip. Position false eyelashes along your natural lashes. Following the natural curve along its length . After use, clean any excess glue around the bottle rim and seal tightly before storing. This glue applies to strip lashes as a milky white substance, but it dries to a clear finish. Its easy to apply and comes in a nice tube with a decent lid (many little glue tubes come with fiddly lids that won’t open again after the first use) . This is very nice and will make it easier to put on fake eyelashes. This looks really good! I hate eyelash glue because it always hurts me but this sounds good! i don't use fake eyelashes,but it's a great product! 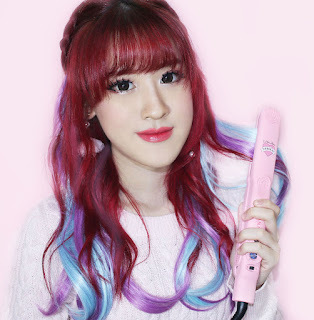 I love the application wand. I've been looking for something with a wand like that rather than the DUO glue that goes everywhere. I invite you to giveaway on my blog ! :) THE COLORFUL THOUGHTS - Firmoo glasses giveaway! It;s nice to know about it's durability. This looks great, I have been looking for a new glue! I'm glad it worked out for you! Thanks for sharing! Thanks for this. I want to start practicing with faux eye lashes soon. sounds like a good glue for false eyelashes. I never used it. I confeso, I'm afraid of making mistakes in the application. Your post made it sound all so simple. I liked. It looks like a very great product. I guess the price is okay if it doesn't make your eyes puffy! Pero qué buen invento, es un gran producto.